A Kansas City, Missouri realtor like Ed Rippee will help you from start to finish when selling your home. No matter what your reasons are for selling a home, remember that now is the time to get started, as the preparation for selling a house can take a month or more. One of the best things a homeowner can do before listing their home for sale is getting a home inspection. But as the seller, you don’t have to wait for the buyer’s inspection. You can have your own done and get ahead of any issues before ever listing the property for sale. By having a home inspection before hitting the market, you’ll find out the exact condition of your home. Make sure, however, you pick an excellent home inspector. Ed Rippee, a Kansas City, Missouri RE/MAX real estate agent, will help you find the best inspector. Like any other business, there are those who are considered exceptionally thorough and others who are not. 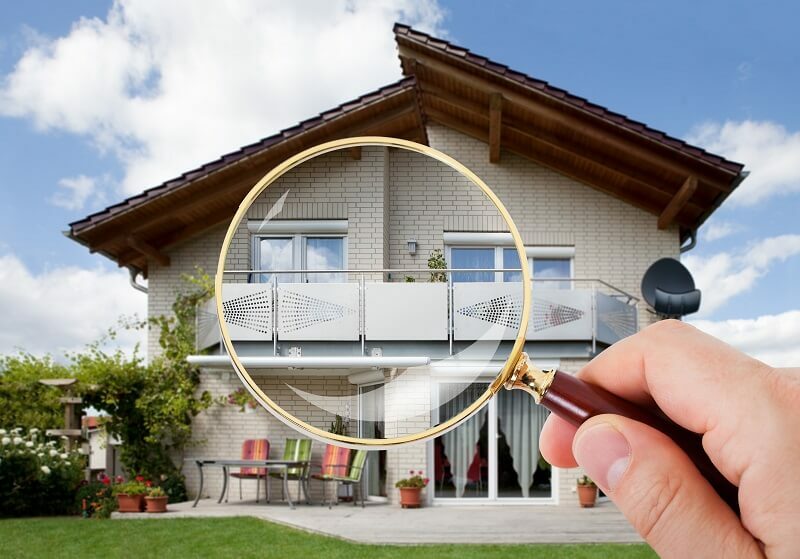 There is no point in having your home inspected if the home inspector only catches a fraction of the issues. 2. Verify that the inspection company only does inspections – not home repairs and renovations. Hiring someone that just does inspections is an important tip for finding the right home inspector. Home inspection companies that sell other services – such as roofing, plumbing, kitchen and bathroom renovations, etc. – have a conflict of interest. The fact that they sell repair and renovation services means they are more likely to see problems where there aren’t any. You want an objective opinion on the state of the house. Choose a home inspection company that’s focused solely on inspections. If you are interested in the cost of repairs or renovations, bring in a contractor after the inspection is over. 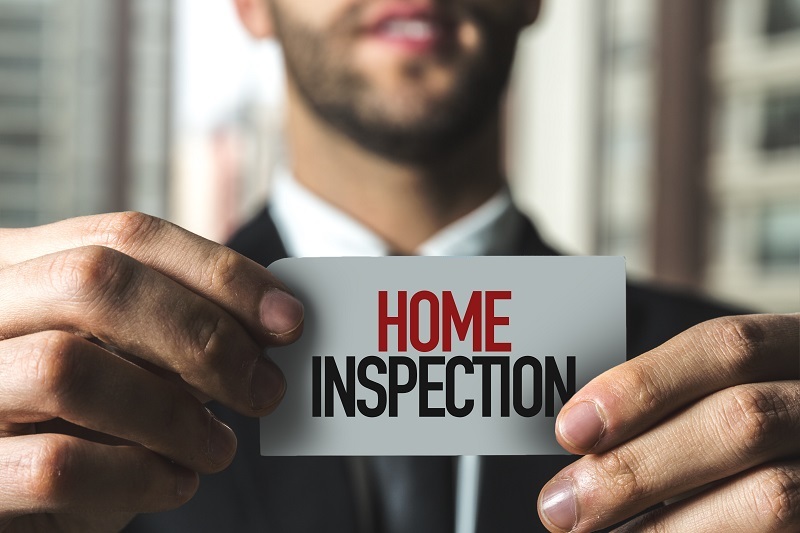 Kansas City, Missouri realtor Ed Rippee will help along the way and recommend inspection companies for you so you can focus on getting your house ready to go on the market. 3. Find out what the inspection includes and how long it takes. · The heating and air conditioning systems. · The basement and foundation. · The roof and attic. · Evidence of water penetration or grading issues. · Pests such as bugs and wildlife. · Environmental issues such as mold, radon, asbestos and lead paint. · Appliances and other general components of the home. Kansas City, Missouri realtor Ed Rippee is ready to help you buy and sell a home. For more information, call Ed, RE/MAX Results Kansas City, at (816) 213-9362. A Kansas City real estate agent like Ed Rippee is ready to help you buy, sell, or rent a home, condo, apartment. Ed is a professional RE/MAX agent who has been in real estate since 2000. When it’s time for you to find a Kansas City real estate agent, look no further than Ed Rippee. For the ninth consecutive year, the 2019 REAL Trends 500 survey — one of the most widely followed reports in the real estate industry — showed RE/MAX agents at participating brokerages outsold competing agents on average by more than two-to-one, averaging 16.3 transaction sides, compared to an average of 7.1 for agents from all other participating large brokerages. A RE/MAX REALTOR® is a member of the National Association of Realtors® and subscribes to its strict Code of Ethics. They are skilled in home sales and are loyal to their clients. They also live and work by the Code of Ethics. Why hire Ed Rippee, a Kansas City real estate agent with for RE/MAX? Of the more than 1,700 U.S. brokerages counted in the survey, 32 percent were affiliated with RE/MAX. Agents with RE/MAX averaged $4.5 million in sales volume which was 79 percent higher than the $2.5 million average of all other competing agents in the survey. Buying a home is definitely one of the biggest investments you will make. 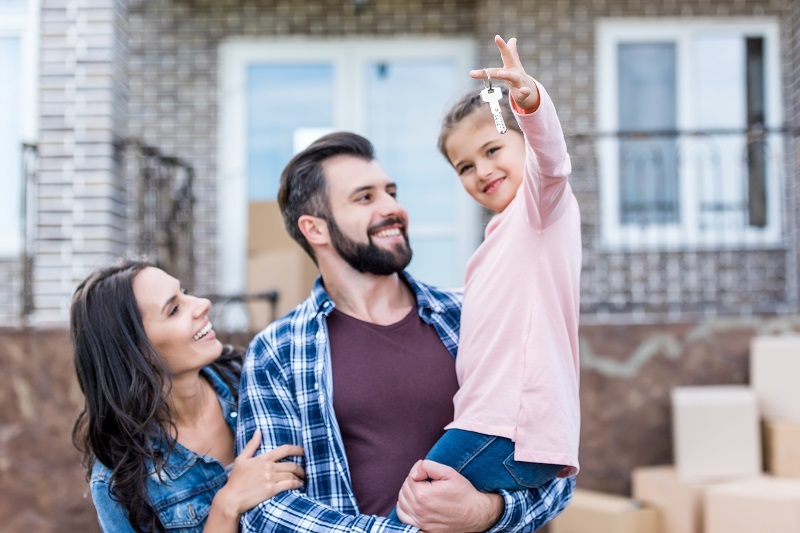 With owning a home comes long-term financial ramifications that can become a burden without careful, informed decisions. Your professional Kansas City and RE/MAX real estate agent, Ed Rippee, will provide you with solid advice. Ed will help you find a Kansas City, Missouri home that is best suited to your needs, taking many aspects into account including home and lot size, style of the home, features desired, location and its accessibility to schools, public transportation, shopping and dining options, and any other personal preferences that go into a home buying decision. Kansas City real estate agent and RE/MAX employee Ed Rippee is ready to help you with any of your home buying or selling needs, and much more. Ed lives and works in Kansas City and knows the area well, and will always do his best to help you with all your real estate needs. For more information about Kansas City RE/Max Results, call Ed at (816) 213-9362. Real Estate Agent Kansas City Ed Rippee Can Help You Sell Your Home Fast! A real estate agent Kansas City like Ed Rippee has many tips to help you sell your home fast. If time is of the essence, these tips will help you get your home ready for showings and keep it ready for showings that could pop up at any time. This, in turn, can help your home sell quicker. 1) Get a storage unit while your house is on the market. You might think the easiest way to declutter your home is to shove everything into the closets. This is not a good idea, as anyone who looks at your home is going to check out the storage spaces, and overstuffed closets serve as evidence that your home is lacking storage. 2) Hire a professional to stage and photograph your home. Real estate agent Kansas City Ed Rippee will make sure your home is staged properly to showcase your home, and that the photos of your home are inviting to buyers. Your buyer’s first impression will be the listing photos, and studies show that homes with more than six listing photos online are twice as likely to be viewed by buyers. 3) Find the right real estate agent Kansas City. Ed Rippee is the real estate agent Kansas City to hire who will help you house sell fast. He is a professional agent who has been helping buyers and sellers since 2000. The only agent you need is Ed Rippee RE/MAX Results Kansas City. 4) Promote your house yourself. While Ed Rippee is doing his part to get your home sold, there are also ways you can help get the word out that your home is for sale. Do your part to get the word out about your home by using your personal social media accounts and sending the listing page to family and friends. 5) Remove personalized items from your home. Removing personal photographs or memorabilia will allow the prospective buyer to imagine themselves living in your house and make it easier to focus on the home’s highlighted features. While you may love your décor, it may not be a potential buyer’s cup of tea. Make the home interesting, not your artwork. 6) Make small upgrades to your house. Don’t go overboard on major remodels. Chances are, you won’t get your money back. Focus on small upgrades, particularly in the kitchen and bathroom, where you’re most likely to see a return on investment. Real estate agent Kansas City Ed Rippee will help with any questions you may have about small upgrades. 7) Brighten up your home. A dark or poorly lit home feels damp and depressing. Brighten it up by using natural and artificial light. When you leave for showings, turn the lights on and open curtains and blinds. 8) Amp up curb appeal. The exterior of your home is typically the first thing a buyer will see in person and on listing sites. Tidy up your yard by trimming and shaping hedges, refreshing mulch, and edging the lawn. Consider pressure-washing your house, walkways, and driveway, or even adding a fresh coat of paint to your trim and shutters. When it’s time to sell your home, and you need or want it sold fast, real estate agent Kansas City Ed Rippee is the agent to call. For more information, call Ed Rippee at (816) 213-9362. I need a real estate agent Kansas City, and I’d like to have an open house to show my home that I’m selling – how do I prepare for this? Ed Rippee, RE/MAX Results Kansas City, is ready to help you sell your home and help you with an open house. Here are some tips on how to make your home inviting and ready for potential buyers. 1) Eliminate half of your belongings as clutter can cost a sale. Rent a storage unit or portable pod for extraneous pieces of furniture or knickknacks. Another idea is to ask a friend if you can borrow some space in his or her garage. 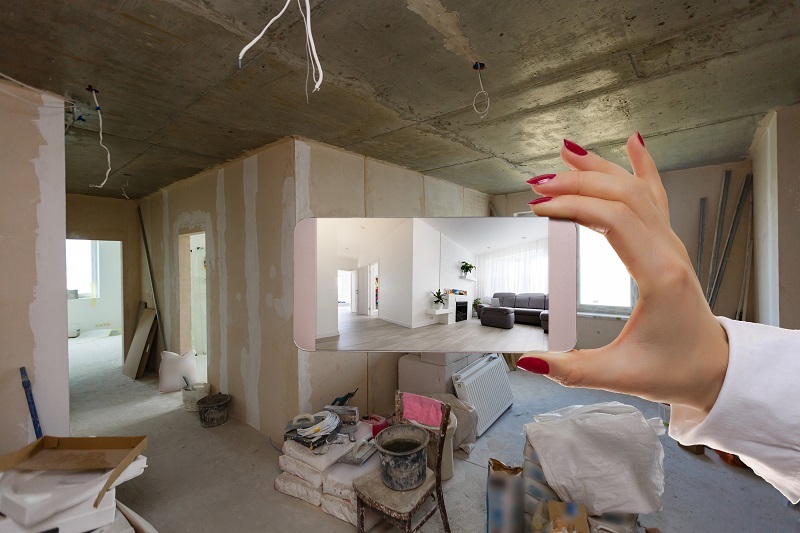 This makes potential buyers able to visualize their own belongings in your home. 2) I need a real estate agent Kansas City! A professional realtor like Ed will advise you to use "home wash" (hose attachment available at home improvement stores) to clean the outside of the house so it’s in pristine condition. Also, clean rain gutters as well as outside windows and screens. 3) Make sure your front door is inviting. If necessary, paint the door and replace any outdated outdoor lighting fixtures. Buy new house numbers if the old ones are faded. It helps for buyers to be able to see the new numbers from the curb. A new welcome mat adds to the cleanliness of the outside of your home and is inviting for potential buyers. 4) Some buyers will look in your closets and drawers to see how much space they have. I need a real estate agent Kansas City – Ed Rippee will make sure your home is ready for an open house and offer advice as a professional real estate agent. 5) Make any necessary repairs so that buyers don’t have to add it to their list of expenses. Any minor repairs can be done by the home seller, or if necessary, a handyman or whatever kind of service is needed for the repair. 6) Rearrange furniture to make rooms appear as large as possible. You may have your couch or recliners set up in a way to view your TV better, but when hosting an open house, consider moving furniture around to show potential buyers the different ways they would be able to place their own furniture. 7) Make every surface shine, from dusty ceiling fans to baseboards. Don’t forget windows inside, mirrors, and floors. Scrub every inch of the kitchen and bathrooms. Also, buy air neutralizer and spray it often for any odors that may permeate throughout your home, such as pet odor. I need a real estate agent Kansas City – Ed Rippee is ready to help you buy or sell a home in the Kansas City area and help with setting up an open house. To learn more about open houses and how to prepare for them, call Ed Rippee RE/MAX Results Kansas City at (816) 213-9362. Real estate agents in Kansas City can help you find the home you want, the home of your dreams, and your forever home. While buying a home can be daunting, there are real estate agents in Kansas City like Ed Rippee, who will help you every step of the way, and offer tips and advice. Here are the top 10 tips for buying a home. Home sellers won’t call with an offer to buy a home, maintenance-free with the perfect mortgage rate. Talk to friends and experts and spend time looking at different home, schools, and neighborhoods. Research can seem overwhelming, but it’s key to connecting you with the right home. During the home buying process, every decision needs to be thought out clearly. Developing a plan can help you focus on the important factors and organize the entire process. Loan pre-qualifying helps determine the home price you can afford and presents you as a genuine prospect to the seller. Real estate agents like Ed Rippee can help you through this process. The classic rule of buying the worst house in the best neighborhood still applies to home buyers. If you buy with an eye towards improvement, you can customize the home to fit your needs. List the features (new appliances, fenced-in yard, etc.) that are most important to you. Establishing your criteria early on will save time when looking for a home to fit your wants and needs. Most buyers will be well-served by a fixed rate loan, but when you buy a home, each situation is unique. While ARM loans have become less popular in recent years, they can still be a viable option for some buyers - especially those who plan on selling again in the short term. Real estate agents in Kansas City like Ed Rippee will make sure that the contract you put on a house allows you to arrange financing, inspect the home and negotiate any problems that you uncover. Before you buy a home, remember that you are about to make one of the most important decisions that will affect both your life and the life of the seller. If you take time to understand the reasons the seller bought the home, their reasons for selling, and the home improvements they have or have not made, you'll be in a better position to evaluate the home and negotiate a better deal. One of the biggest decisions you'll face is how to finance the purchase. There are 10,000 lenders competing for your mortgage business. The days of simply walking into the community bank and negotiating with the loan department manager are over. You can apply for a loan over the Internet or even use a mortgage broker to shop for your loan with hundreds of lenders. Although it is hard to believe, more people pay for inspections before buying used cars than when they go to buy a home. Paying for a qualified home inspection before you buy a home isn't just spending "a little extra" for peace of mind; it's essential for anyone who doesn't want to spend thousands of dollars for repairs after they buy a home. To protect both you as a buyer, as well as the seller, it is a good idea to purchase a home protection plan before you buy a home. A home warranty, or home protection plan, is a service contract, normally for one year, which protects the people against the cost of unexpected repairs or replacement of their major systems and appliances that break down due to normal wear and tear. Purchasing a home protection plan will give you added peace of mind when you buy a new home. Kansas City real estate agents like Ed Rippee are ready to help you buy a home, and make sure you get the most for your money. For more information about buying a home, visit http://www.edrippee.com/ or call (816) 213-9362. A Kansas City, Missouri realtor like Ed Rippee can help you with tips to stage your home so it will sell, and the best ways to stage it to sell faster. Here are ten tips on staging to help you prepare your home to sell. This is something you always hear, and with very good reason. Many people thinking of touring your home will do a quick drive-by first, often deciding on the spot if it is even worth a look inside. A Kansas City, Missouri realtor like Ed Rippee will make sure your home is ready to lure in onlookers. 2) Get your house sparkling clean. From shining floors and gleaming windows to clean counters and scrubbed grout, every surface should sparkle. This is the easiest (well, maybe not easiest, but certainly the cheapest) way to help your home put its best foot forward. 3) Clear away all clutter. If you are serious about staging your home, all clutter must go. It’s not easy, and it may even require utilizing offsite storage temporarily, but it is well worth the trouble. 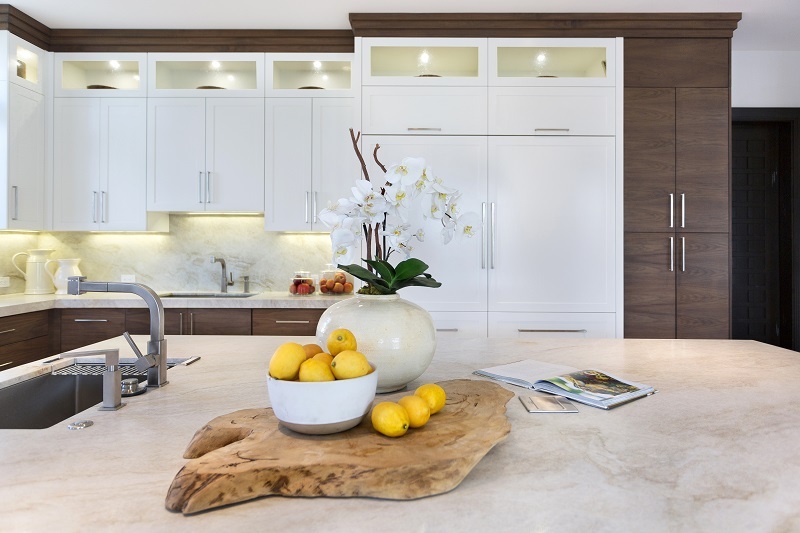 Clean and clear surfaces, floors, cupboards and closets equal more space in the eyes of potential buyers. Kansas City, Missouri realtor Ed Rippee knows how to help sellers get their homes ready to sell and will help in all the steps along the way. 4) Choose sophisticated neutral colors. Now is not the time to experiment with that “fun”-looking lime green. But that doesn’t mean you need to go all white, either. Rich mid-tone neutrals like mocha and “greige” create a sophisticated backdrop that makes everything look more pulled together. There will be families with children looking at your home, but just because they have kids also doesn’t mean seeing toys everywhere will sell them on the place. Show them that in this house, it is possible to have a beautifully organized kids’ room. 6) Use extra rooms wisely. If you have been using a spare bedroom as a dumping ground for odd pieces of furniture and boxes of junk, it’s time to clean it. Each room should have a clearly defined purpose, so think about what potential buyers might like to see here. An office? A guest room? 7) Use only perfect personal accents. Especially in the bathroom, it is important that anything left out for visitors to see is pristine. Look at every detail with a visitor’s eye — bars of soap should be fresh and clean, towels spotless, the garbage always emptied. 8) Show how you can use awkward areas. If you have pets, get all rugs steam cleaned and be extra vigilant about vacuuming and washing surfaces. Also, be sure to keep any extra-loved pet toys and doggie bones hidden when tours are scheduled. 10) Create a lifestyle people are looking for. You want to play up what your neighborhood or area is known for. Have a house in a quiet, grassy suburb? Hanging a hammock in your backyard and a bench swing on your porch could be the perfect touch. Staging your home can be an easier process when you hire a Kansas City, Missouri realtor like Ed Rippee, REMAX Results Kansas City. For more information on staging and selling, call Ed Rippee at (816) 213-9362. I need a real estate agent Kansas City, and I have never bought or sold a house before. I’ve been misled by a real estate agent in the past, and don’t want to repeat that mistake. How do I find a trustworthy, reputable real estate agent in the Kansas City area? There is a learning curve to most things and hiring a real estate agent is one of them. You can be so eager an excited buy your first house or sell your current home that you fail to put in the necessary effort to hire an excellent realtor. 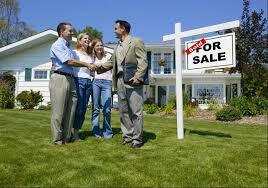 It’s extremely important that you select the “right” real estate agent to sell your home or help you buy one. In most communities across the United States there are several hundred or even thousands of real estate agents to choose from! If I need a real estate agent Kansas City, Ed Rippee has the experience and professionalism to help find the perfect home, and the knowledge to sell homes. 1) Honesty - Being honest and telling the truth are extremely important (and also part of the National Association of Realtors® Code of Ethics) traits to look for in a real estate agent. Ed Rippee, REMAX Results Kansas City, is always honest about how to get your home ready to sell, what a fair asking price would be, what home is suitable for your needs and finances, etc. 2) Professionalism - This is a trait that most sellers and buyers would assume that all real estate agents have, and unfortunately, that is not the case. Ed has been a real estate agent since 2000 and is always attentive to your wants and needs when buying or selling a home. 3) Experience and Proven Results – If I need a real estate agent Kansas City, with Ed Rippee, I can trust he will freely give unbiased advice to ensure my home selling or buying experience is successful with as little hassle as possible. Ed can often suggest simple, creative changes while you are looking at a home that you might not have considered. This can give you a different perspective on a home and improve its utility and value to you. He will also work as your buyer's agent to help you negotiate with the seller. That way you can get the best price and terms for buying a home with Ed acting on your behalf. When I need a real estate agent Kansas City, Ed Rippee is agent to work with for the best results. For more information about buying or selling a home in the Kansas City area, call Ed Rippee REMAX Results Kansas City at (816) 213-9362. When it comes to the proper care of your home, hiring a professional to help with plumbing, electrical or basic maintenance needs can mean the difference between a successful job and a mistake that can cost you thousands. It’s no different in the case of buying or selling your home. 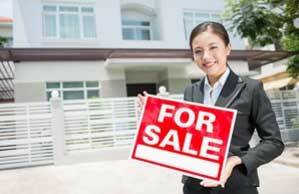 When searching for the right Kansas City real estate agent, there are many things to consider. There is the option to purchase a home without a Kansas City real estate agent’s help or put your house on the market as for sale by owner. But if you’re not familiar with the buying or selling process, you may skip over necessary steps, whether it's failing to fix peeling paint or missing a deadline for due diligence when you're under contract, that require you to go back and take more time. You could also find that you're not on an even playing field when it comes to negotiating the deal, leading you to ultimately pay more for the purchase or make less money in a sale. A Kansas City real estate agent can serve as your guide from start to finish during the home purchase or sale process, so don’t be afraid to start reaching out to potential agents even though you’re still not quite ready to put your house on the market or haven’t figured out which lender is best for you. Ed Rippee is a professional Kansas City real estate agent whose incredible customer service is reflected in his record of providing outstanding results for clients. He achieves this with superior technology, high ethical standards, and the goal of providing his clients with the most positive real estate experience possible in Kansas City. Ed is with you from the beginning to the end of every home bought or sold. Ed will help you determine how much home you can actually afford. He can suggest ways to finance your home and can also help you in the mortgage loan process by suggesting a mortgage counselor and arrange to have you "pre-approved" for home buying. This can improve your negotiating position and help enable you to achieve your home buying objectives faster and with less stress. Ed will work as your buyer's agent to help you negotiate with the seller. That way you can get the best price and terms for buying a home with Ed acting on your behalf. Ed will help you find a Kansas City, Mo home that is best suited to your needs, taking many aspects into account including home and lot size, style of the home, features desired, location and its accessibility to schools, public transportation, shopping and dining options, and any other personal preferences that go into a home buying decision. For any home buying or selling, Ed Rippee is a great choice for your Kansas City real estate agent. For more information on home buying, visit http://www.edrippee.com/home-buying.aspx. For more information on home selling, visit http://www.edrippee.com/home-selling.aspx. To get the process started, call Ed at (816) 213-9362. If 2019 is about to bring a change, there’s no need to wait until the last minute to think, “I need a real estate agent in Kansas City.” If you have to relocate due to a job or are ready to buy a home, Ed Rippee is the real estate agent to work with. Ed will work with you during the entire process from start to finish to make sure you are completely satisfied with your new home. The holiday time can be stressful – the answer to “I need a real estate agent” – especially in the Kansas City area, is Ed Rippee. Ed will help determine how much home you can afford and suggest ways to finance your home. He can help you with the mortgage loan process by suggesting a mortgage counselor and arrange to have you pre-approved for the home buying process. If life has you having to leave the Kansas City area, Ed can also help you sell your home. He knows the tips and has the knowledge on how to prepare your home to go on the market, from clearing out the clutter to how to show your home so it will attract potential buyers. You don't have to go out and buy new furniture just to look like that beautiful new model in the new development – what you want is the feel of that new model – clean, uncluttered, and fresh. It can take up to a month or more to get your home ready to sell. Waiting until the last minute can be stressful, so when thinking, “I need a real estate agent” and you’re in the Kansas City area, Ed Rippee knows how to get your home sold with the least amount of stress. Ed will help you find a Kansas City home that is best suited to your needs, taking many aspects into account, including home and lot size, style of the home, features desired, location and its accessibility to schools, public transportation, shopping and dining options, and any other personal preferences that go into a home buying decision. Ed has access to a listing of all available homes in the Kansas City location you want to buy a home in and can evaluate them based on your list of needs and the budget you have available. Ed can supply information on relevant home buying information such as real estate values, taxes, utility costs, municipal services and facilities, that may not be easily accessible to the typical home buyer. Going into 2019 can be a lot less stressful when Ed Rippee is your real estate agent in the Kansas City area. To contact Ed for home buying or selling, call him at (816) 213-9362 or visit http://www.edrippee.com/home-selling.aspx for more information. Ed Rippee is truly the experienced Kansas City real estate agent who will help you find the home you want, all while listening and making sure the home you are buying is the perfect fit, or the home you are selling is priced right for the market. Hiring Ed for your Kansas City real estate agent is a win-win. As your real estate agent, you can trust he will freely give unbiased advice to ensure your home selling or home buying experience is successful with as little hassle as possible. Ed has been a real estate agent since 2000. He has certification in new homes. He was the Rookie of the Year real estate agent with my first real estate firm in Florida and was third in sales his first year as a real estate agent. As the son of a career Army officer, Ed grew up moving around the U.S., and has seen a lot of homes, therefore he understands how important the right home is to a buyer. Moving around taught Ed the value of community and he applies that with clients as a real estate agent. Ed enjoys meeting people from all stages and walks of life and feels enriched by the different cultures that he is exposed to. Ed has even helped people from Africa, South America, Great Britain, Mexico and many different U.S. states get homes ... sometimes being trusted enough to sell them a home without them having seen it in person. There will be many people who bought houses from Ed this year celebrating their first Christmas in their new home. They’ll be proud to show off their home (and probably brag about how great their Kansas City real estate agent Ed Rippee is!) to friends and family and entertain in their home whether it be dinner on Christmas day, or a party on New Year’s Eve, celebrating both their new home and the new year. One look at Ed’s reviews on his Facebook page, Ed Rippee Real Estate, shows how satisfied his customers are with him as their Kansas City real estate agent. 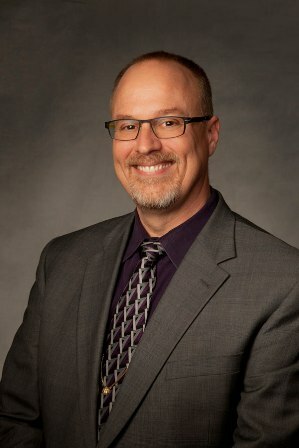 For more information about Ed Rippee and how to contact him, visit http://www.edrippee.com/kansas-city-homes-for-sale-ed-rippee.aspx.